Some of you may be wondering why you would ever need a bootable pen drive or some of you may even don't get what exactly this post is all about. For those who do not understand what does the word 'boot' mean - "It's a process your computer follows every time it is turned on or restarted. The process is basically looking for the operating system in the memory" and when we say 'bootable' pen drive, it means your computer starts looking for the operating system (Windows in our case) in your pen drive. 1. Download WinUSB maker Software from here. 2. Extract the package files and run the application. 3. Connect your pen drive to the computer. 4. Now select your USB device (pen drive) using the drop down. 5. Now click on Setup to USB and select an ISO file to work with. 6. Now click on Make USB Bootable. Here you go. Now it will format your device and will make it bootable with the .ISO image of Windows 7. You can check the file transfer status in the bar and once it is completed, you can remove the pen drive from the computer. 7. Now you need to follow a small step with the BIOS of your computer. 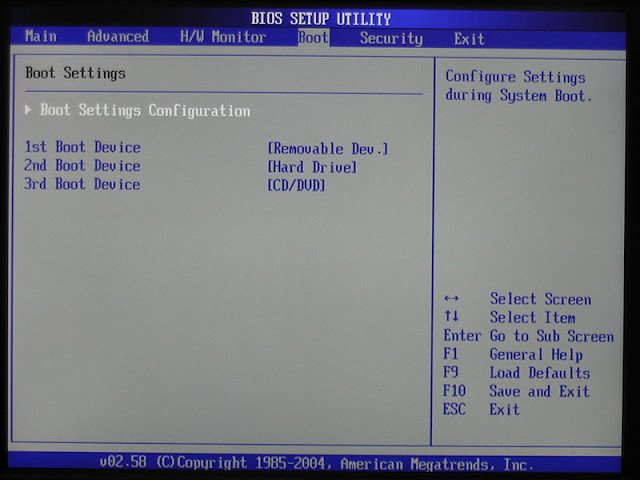 You can enter BIOS of your computer by hitting F11 or Delete key (the keys vary from system to system. Look on the screen for exact key) on the very first screen which appears for few seconds as soon as you turn on/restart your computer. 8. Now you need to enter the Boot Menu of your BIOS and set your USB device as the first boot device in the list (use +, - keys to do this). 9. After saving the settings, exit BIOS. 10. Now connect your pen drive to your computer and restart it. As soon as you restart your computer, it will boot from the USB (pen drive) and will install Windows 7 in your computer (you will need to follow simple steps of Windows installation).